Ceiling panels and flooring are for completely different areas of the bathroom, but Q4 offers high quality, easy to install options for both your ceiling and floor. 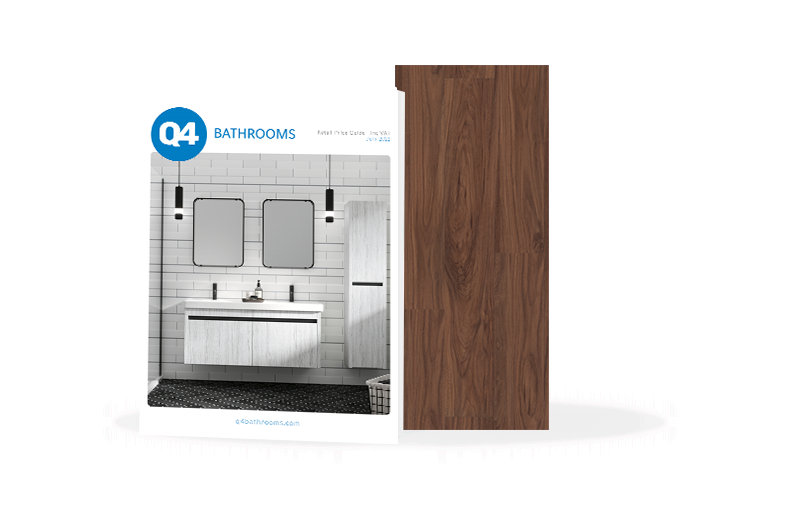 Waterproof, easy to maintain, and stain or scuff resistant, Q4’s bathroom ceiling panels and flooring can fit any size of bathroom, and you choose from our stunning range of colours and styles. Stylish and highly practical bathroom flooring in beautiful wood or stone effect vinyl tiles. Looselay and Palio Clic options available. Light and easy to install bathroom ceiling panels built to withstand the moisture in your bathroom. Gloss, Chrome, Matt, and Ash finishes available. Why buy ceiling panels & flooring from Q4?